To be of the Okarmaiy race may bring acceptance, or fear. For acceptance must be earned, but fear is chosen here. An Okarmaiy bearing no wings be her. Then to practice arts forbidden envelops her mind. For right now she must hear her own voice. To reside away from the Clan of her living, she must become an individual. Rummaging through each book one by one, you search for a specific Spellmaking book in the library of the Okarmaiy, found in a circular room within her den. Unintentionally, you find an aging, worn book, covered in an exterior layer of dust. As you turn each page of the book, revealing it's content you finally realize that this book is one of Kamaida's relatively old Event Logs. This log is written in formal handwriting with black ink, but was rarely used at this moment of time. This event log was written at the time of my early days as a child. The following parchment is also used to take significant notes. Under the pressure of the Okarmaiy Clan, I, Kamaida, became melancholy under such circumstances to experience the way of the air, and to fight with one in the bearings of war. The childhood of mine ceased me to practice the art of magic, or stealth. But, what was I to do? We are a powerful clan, one which aids the human race and others throughout the times in war. I was no warrior, I had no wings, no training, and to be expected to participate in such an activity - war - became an outrage to my upright and beliefs. Nearing the age of adolescence, experimenting with the finery of magical arts was to be my goal. Since there was no use for me presently in this clan, seeking leisure time was not a major issue to come. We live among the Oran Ranges and Forests; the trees are tall, and the mountains steep. Many of the clan folk were diligent, being out training for the preparation of war - our clan only consisting of the noble Eyrie race. These training sessions occurred daily from the sharp time of twelve, to the time of the sun's lee. It was my time now; to practice the forbidden art of magic, and to become stealthy in the ways to avoid any breaching of the clan. Books of magical and mechanical practice for the purpose of now are found hidden within nests only so far away from the Okarmaiy's land. For this, I read these books and practice these arts away from the clan; no one was to ever watch. If any eyes were to meet with me at these significant times, I fear for what could happen to me. I do not entirely know the exact punishments, unless our laws were to change in council. Until that time occurs, I must veil now as I read this literature, or perhaps forever. After countless hours had passed with the practice of these arts, I have grown accustom to the basic techniques of magic, and the foundations of mechanical structures. Drawing plans, diagrams, and blueprints for my future benefit is to come next. As my first final design product, being a structure of magical and mechanical purposes is to be built. This design structure carries certain, aiding qualities; I am to build wings that are mechanically built by hand from silver, also enchanted with specific magical properties. This will now allow me to move in the air as if these hefty wings weigh nothing, for the purposes of unbearable weight upon me gone. These light-weighted, durable wings would be attached to my body with a broad, silver-metal strap tightened across my chest. Primarily, my focus currently is to build this design complex within a matter of weeks - without being caught in the process. To how I am to achieve this is a mystery, but a mystery that must be achieved. Putting enchanting to practice as a practical is much more difficult than it seems. Written on parchment the methods are, but to practice them is another scenario. In order to enchant items of personal ownership using a method, you must acquire specialised ingredients in order to form this new enchanted item. These "specialised" ingredients generally consist of any essence derived from a magical animal, or being, which are captured through the means of spell casting. When an ingredient has been captured, you are the only one able to return the essence back to this plane. I have realised only today, that to take part in a sinful act and to betray your own people in their beliefs and respects is not a renowned deed. But, to find a solution of which accompanies both sides in a pleasant manner is an intriguing aspect to find the solution of. In order to perform the deeds of which I wish to participate in, I have decided to seek the Elder Council as I wish to consult their advice. As I persuade the Council whom are presented to me at the higher court, that I have not yet practiced in these forbidden arts. But, have only read about these contexts to further my philosophical knowledge. I now am fascinated above all, and seek to practice these arts outside the Okarmaiy Clan's borders, also now, seeking their advice. Awaiting the Elder Council's response to the favour asked, one answers this question with - We have always considered this favour being asked with us now hypothetically, but we have never thought any of our Clan would live to ask such blasphemy. I suppose it was coming, young Kamaida. You may only practice such arts outside our walls, and live as a hermit. This is a fair obligation, but it is your choice on what life you wish to live. Would you rather a life of your own? As a hermit free to submit to any paths along you way, or are you to follow a guided path? In which you will live up to your ancestor's name. That is all. The choice here was clear. Note: To turn back and forth through pages, click on the tab in either the top left, or right depending on if you wish to go forward or back. The winds within the forest whisper murmured words which are inevitably difficult to hear correctly. With a monotonous voice, once more they speak the repeated rhythmic pattern of words, "Kamaida... Kamaida. You failed to aid us the last we spoke! You dare to fail us again? You sought the solutions long ago, but were they enough for your liking?" Within a matter of waited moments, these words were repeated once more, again, and again. The Eyrie in which was called for by the earthen nature concealed herself with the Enchantment, Pads of the Unseen by wearing these on her paws, restricting her claws from ever emerging outside of these Pads. She proceeded further and deeper within the cursed-like forest undetected, still testing her latest enchantment taken from the Ujoro essence. This, a small, pestering scaly beast of many forests suited for this particular enchantment. Her latest creation, perhaps a nuisance, but good for the market is now called the Ears of Lorane, named after a great listener of the Okarmaiy Clan whom befriended Kamaida long ago. The Ears of Lorane allow anyone to listen to the wicked speech of nature - inanimate objets cannot be heard however. 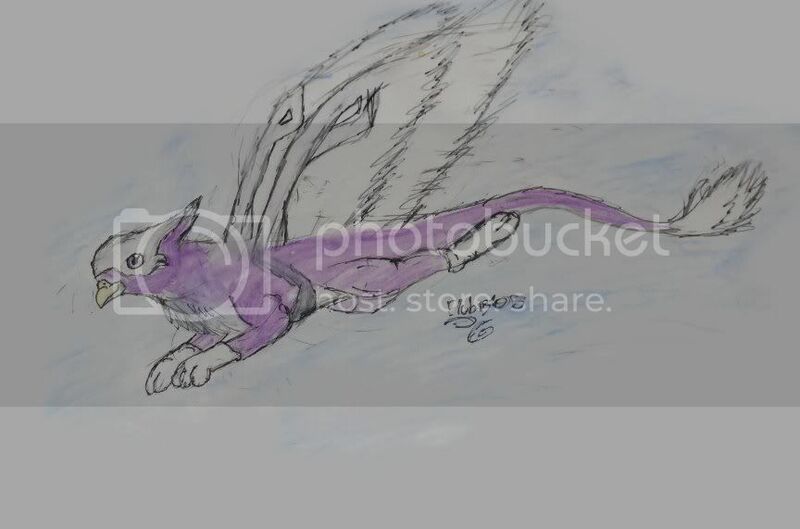 Kamaida's short cut, lavender fur was being tugged between two branches as she gaited through the awkward forest, her only instinct being to turn at the opposing threat. Upon the branch, just sitting there pleasantly, a magical creature. It's eyes were bland and doe-like, but the creature's face was cheerful and optimistic, this reflected the viewer's mood too in a nonsensical way. Staring blankly at this peculiar creature, it having crimson, short fur, with a pair of doubled, curved horns and seven eyes equally spread on it's face with a charcoal underbelly colour. Only then did Kamaida realise that this creature, the Ferana, has a magical essence which can be extracted by the means of spell casting. This creature does not scurry away like others have done in the past; it just sits there as if it yearns for something. Kamaida shrugged and commenced the minor spell of essence deprivation - yarada nusor. An immense shaft of plum coloured light bestowed the surrounding environment, including the Ferana, and Kamaida. A stream of light contained within the plum coloured, unnatural light shimmered brighter, and connected to both this creature and Kamaida. It slowly engulfed the creature's magical talents, which were then extracted and passed to Kamaida's state of being. The essence being extracted now appears as a coloured, magical orb depending on the creature's aura level, which is dragged toward the spell caster - Kamaida. The illumination then ceased. This spell cleanses any magical creature of it's magical abilities for the user to gain ingredients for self indulgence of the magical arts. The flight of the returning to Meridell outside the borders of Oran was only to take a concise amount of time. 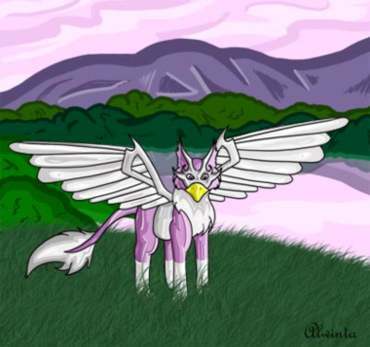 As she were to land in the open field of grass enclosed atop Meridell, Kamaida arched her spine and landed on the meadow with her two hind legs contacting the land first, which she now stands upon. A warming breeze of air welcomed her to the surrounding; there are many here throughout the city of Meridell today, some of which come here daily, one such as Kamaida. Kamaida strode over toward the grand castle of Meridell, the castle in which Skarrl governs and it's land. He does not rule us well, but instead asks the people of his city to entertain him. He is definitely not an intriguing character, but indolent and irresponsible. She has met him in previous encounters. During these encounters, Skarrl has asked of Kamaida to be a sort of assistant for his own personal accord. He believes that Kamaida can protect him, though he is not a threat at all, not to anyone. He believes Kamaida is derived from a great Magical Order - of course this is not true. For, she can only cast the spells of simplicity, though there are others that are complex which have been practiced over dense periods of time, this of which have now become a simple spell to cast. Skarrl is ignorant of our ways; let it be that way for now. As she passed the bridge, and approached the first floored bricks of the castle outside, Kamaida was met by a wandering stranger whom was keenly looking for an audience with her. Are ye the Enchantress of this city? If thou are the one for me, I wish to utilize ye services. Of course I'm the Enchantress of this city of Meridell! One such as you should know something such as this. There is little of our kind in any sectors of the world; this is why you should know me. In fact, I am only familiar with a single other enchanter, Joradune, whom can be sited outside of the Veczano province. The stranger seemed impatient, as if he desired for Kamaida to speak no more. He is of the Gelert species, bronze in body colour, with white patterns among his face, hooded and cloaked with a cotton-like, russet material. He raised the paw in which he uses as a hand and hauled up the hood which he wears, revealing his face evidentially. I be sorry for my ignorance ma'am, methinks. I hast sought to find an item, an enchantment perhaps, which can shift the times as desired. Yes, the possibility of me to do that is great, but perhaps you should consider the possibility of me allowing you to have such an item, and it's cost? You are not yet wise in my abilities and knowledge. Seek me only for appropriate material. Kamaida ended her speech, bewildered to the fact that anyone would have the nerve to ask something such as what was asked then. The Gelert was left tremendously unpleased, with a fetid look attached to his face left as the response. His shadow left us as he turned his back to Kamaida, as did she. His appearance vanished with us now, for he has not parted his inconsistent ways. As the two parted their ways, Kamaida continued to market the Ears of Lorane, at her designated stall situated next to Kayla's Potion Shop, inside the Castle grounds. This pair of pale brass enchantment, hoops along the bearer's ear, and forms elongated curves outside of the ear pocket. They almost seem of an Elven culture. These of which happened to be bought by a willing customer in the evening, only few hours before the sun would set. Kamaida temporarily closed the stall, returning ever so eagerly to her den in the Oran Ranges. This is done to rest and return back here at the Meridell Castle tomorrow to market and sell other enchantments. And now, Nightfall begins. As morning arises, a glow of gold bestows through the den, reaching the very base of it, this morning glow also catches Kamaida's silver, metal mask, which peers within to contact her closed, mauve eyes. The glow manages to catch her attention through her eyelids, and she then awakens ungracefully with a yawn, being exhausted from the previous days' flights. Not to mention, her hind leg muscles ache as she begins to pace each step. The walk outside was not far. But, the tunnel never seemed to cease. There was light at the end, but reaching that source was another matter. Each pace never seems to lead closer. Perhaps Kamaida just lacks sleep? No. This is an entirely new predicament. Gradually, the exit's light became larger, eventually Kamaida met it's end. Perhaps knowing it was an illusion led her to escape it. The environment's landscape outside had changed dramatically. Kamaida was only in the littlest bewildered; such magic has been used before, it is no different of a matter. Here, only the sun and moon are the same, for the moon has already risen with the warming sun. The land created here has slight atmospheric differences in comparison to the rest of the built, peculiar world. The ground is weak and fragile, it being coloured in emerald, and textured with rugged, tall, bulging, three dimensional pyramids. Although, these triangular forms are not sharp, but are rather blunt in shape. The atmosphere seems polluted; it blisters and scorches the skin, making anyone here suffer from dehydration and pain. There is no water. No Liquid. The sky's colour is gold, with stationary air creatures floating in the midst of this sky, they are clumped together almost forming a circular shape and pattern. They are not dead, but perhaps paralysed. There are many formations on the planes of this dimension; there are cylinder shaped boulders, buoyant scales, burrows and pits of profound measures.
] Youth [[[ Twenty Two Human Years Young, Forty Two Okarmaiy Years.
] Visual Appearance and Enchantments [[[ Kamaida is of the Okarmaiy Clan, sharing somewhat similar physical traits among them. Kamaida is a pale magenta colour in feathers, but has a charcoal body base, and her golden beak glistens when shone upon. Her fur colour is of a pale grey, this also including her tail fur, and her knee-high stockings are of a paler colour. This mask was made by Kamaida herself when she was only young, and still learning of the magical, and mechanical practices to enchant, and create such items. The Mask of Ceroa was made to ensure others would not view Kamaida as the one whom resides elsewhere, outside of the Okarmaiy Clan, practicing the dark arts of their culture. It was named after a particular creature, found within the Oran Ranges, in which is always "cloaked" and hidden from it's predators. 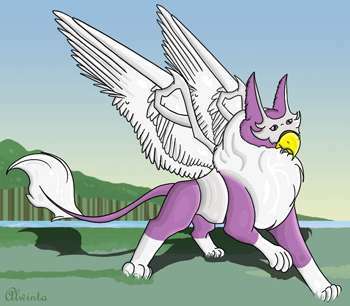 The Jovuru Wings were created as Kamaida's first, highly successful experiments. It was created for a sole purpose in which is to guarantee Kamaida can manage, and learn the way of the air. These wings are heavy when not worn, but as a solid effect enchanted upon this item, when worn it will hardly weigh a thing making the flight bearable. 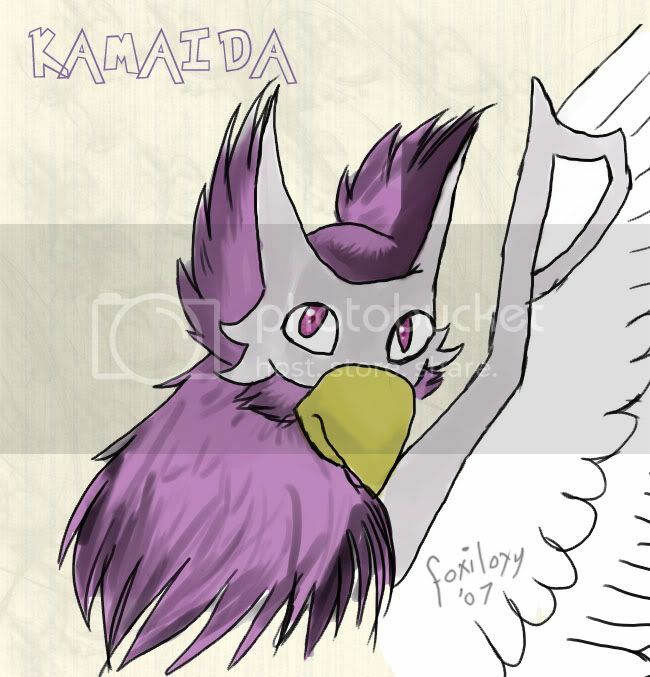 Kamaida has always been talented, although born as a wingless Eyrie, she has coped very well with the challenges she faces even today. When young, her Clan often roamed the sky. Because she is wingless, she obviously wasn't able to fly through the sky, so she decided to take up Mechanics and Magic. Because of this wretched event, Kamaida then one day enchanted her own set of mechanical wings; these wings although seeming heavy, are actually under the foremost construction of magic. Therefore these wings are very light, making Kamaida's flight through the air manageable and controllable. Without the knowledge of Mechanics, I would live a life of misery within the clan. This is my life, my focus, the very hobby I aim to improve in. Each essence derived from a magical creature, or being has it's own aura level. For when Enchanting comes, a brief background knowledge of the arts in potion making are often required. To know a great amount of knowledge, then next comes Philosophy. I enjoy finding complex solutions to problems, requiring a different standard of thinking than that of most individuals. It helps improve enchanting this knowledge does. To have a great deal of time on your hands is a necessity for enchanting, for time creates what we do, and what we are. Time is a precious gift we must cherish. Nature is a curious element, the natural may be viewed as awkward. However, nothing should be awkward as we are unique, and so is everything around us. These curious little creatures are often found in dim areas of the world, they bring you knowledge, a sense of purpose and acknowledgment. If one is ignorant, they ignore all that meets their face - they know nothing. They ignore everything but themself, and the ones whom they may care for. All individuals must be treated equally unless they are being punished for the deeds they have committed. Everyone wastes their time, they are slow, they are unaware of what is going on around them, they do not haste. They do not care for time. Please do not use any of the following adoptables in any contest; it will most likely end up making your account frozen. Do not alter these in any way, claim them as your own, or remove my username. Make sure each adoptable you add links back to this petpage, or to my userlookup. 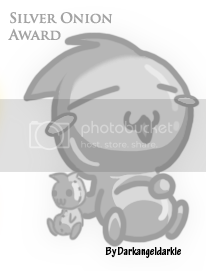 To use any of the following adoptables, click in the box below each image and highlight all of the text (ctrl + a) and then copy (ctrl + c) the coding which you then paste (ctrl + v) wherever necessary. Yes, these are transparent. Trades: Conditional Waiting List: None. 1. Do not use any of the following custom adoptables in any contest. If you are to do such a thing, I am quite sure that I will be notified, or others will report you for incorrect use of design, and/or theft. This, as a result will get any of your accounts warned, suspended, or perhaps frozen. 2. Do not claim them as your own, or remove my username. 3. I do not mind if you upload your custom adoptable onto your own server, as long as it still links back to this page, or to my userlookup. 4. Do not alter them in any way. You may only do so if you are the owner of said custom design, and I have forgotten a feature that you wish to add yourself. 5. 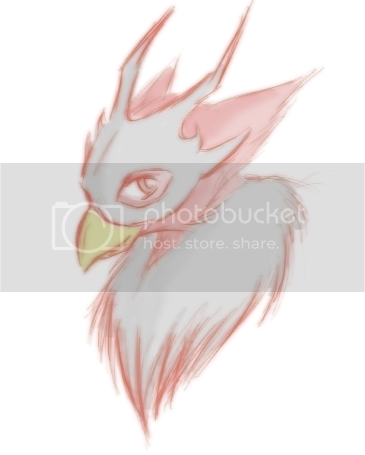 Do not take any custom adoptable that is not your own. 1. Check if custom requests, or trades are open. 2. Do you have a reference picture of any sort? This may include a reference sheet, artwork, custom adoptable, or makeable. If not, then practically forget about asking, unless you are very descriptive with text. Note: Any coding will be taken down after one weeks notice. Neomail me if you need the coding again. Below are enchanted items that I have come across within Neopia, whilst trading inside of Meridell. They have proven to be quite useful, perhaps you could buy them off me? This heavy amulet sprouts new leaves each day. This magical amulet has little flames licking around it, but it will not burn the wearer. This water amulet allows your Neopet to dive to the deepest depths of the ocean among other things. Let's just say I'm keeping it as insurance. This was given out as a prize for the Sloth TCG Tournament. This brooch is enchanted with the magic of three dark faeries! A sparkling amulet that shines so brightly the wearer can see in the dark. Defend yourself with the magical power of earth! This ring may never come off your finger! A truly dazzling blade that will impress your friends and terrify your opponents. More powerful, more purple and more ultra than the simple Nova Blade. Using this amulet will restore your pet to full hit points. One Use. Only one healing item can be equipped to your pet! This magical protects the wearer from water damage. Said to once be worn by the great dark faerie herself, if you wear this you will be immune to light attacks. When you wear this charm it will reflect back some of the darker magic that is aimed at you. One Use. You can only equip one of these. A beautiful swirling wonder that is full of suprises. You can only have one healing item equiped to your pet! This bow is made of hand carved wood from an enchanted forest. If you are faced with a witty adversary, this cloak will protect you even more. Written by a powerful air faerie, this magic is very strong indeed. Moon Staff fights against all darkness, and will send a powerful attack towards any creature of darkness! When the going gets too tough, avoid them!!!!!! These enchanted boots will help your Neopet jump extraordinary heights. Eat all you want and still lose weight! Beekadoodle's are friendly, active, and agile Birds, their music is very beautiful to listen to, it's the type of music you could listen to for hours. Often, you'll find Beekadoodle's shedding their feathers, which are often left on the forest's floor. Their feathers are also one of the richest and silkiest you'll ever come across, embroiderer's will usually come to this forest, scouting for these specific feathers for their work. When looking for Beekadoodle's, you'll often find them on tree branches, or near other little critters. They'll mostly feed on Glacks and Skidgets, as these petpetpet's are very common in these parts, and they also taste delicious. Eizzil's are a jolly and fun bunch, if you do happen to see one, they'll be either exploring the land, or in most cases, hiding from nearby predators, in a small burrow of the sort. They also have an unusual liking for muffins. Flowper's are cheerful and unusually intelligent creatures. They often stride from their clan's, searching for food, which they then store in their burrows, ready to be eaten and shared with later. The sun is also used to give them energy for their daily scavenging. An unusual fact that has been researched, is the Flowper's use their large ears to float down from high places. Hasee's are a rather lazy sort, all they'll do is sit around eating rich plants, which grow in the Forest. They're very optimistic and relaxed, but can be very greedy. When they start eating, they can never stop until the food supply just runs out. They're always peckish it seems, but they are a delightful and humorous bunch. Urchull's are very social creatures, and are very aware of what's going on around them, this is mostly because they have two pairs of ears, which are great for listening. These critters are very bright and intelligent. They also have an unusual knack for locating their diet with their great sense of smell. Whoot's are creatures of the night (nocturnal) and often search for prey in the treetops, they're very swift and silent when hunting. They have an unusual, but natural ability to sense the where-a-bouts of the Pant Devil. It is hard to know one's personality, since many creatures in the forest aren't nocturnal. 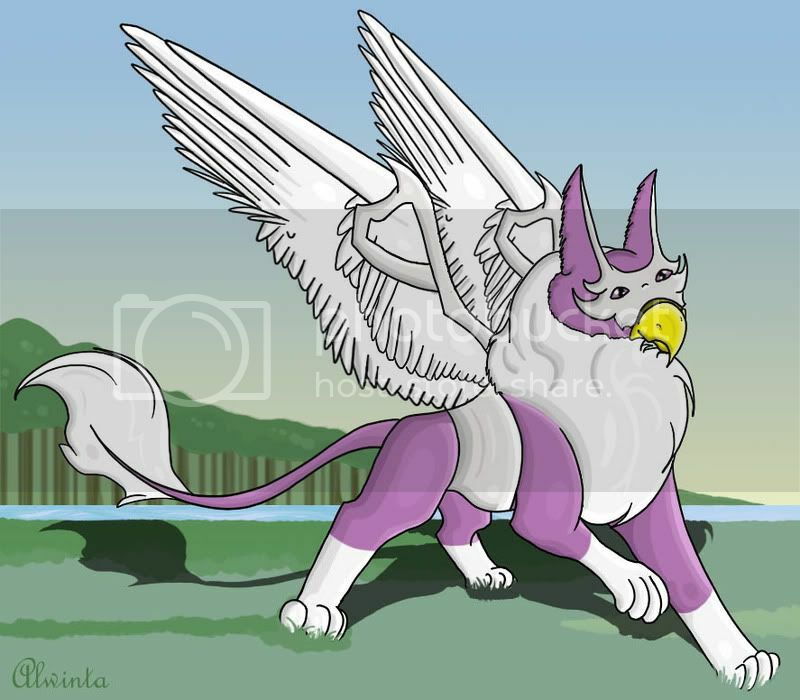 The following art of Kamaida has been drawn by Alwinta. Please do not take any of the following art to use anywhere at any time. Thank you to all of the kind people whom have drawn Kamaida! All art in this section is drawn by the respective owners. See who drew the piece of art by clicking on any thumbnail. What Program(s) Do You Use? Adobe Photoshop Elements 3.0 and a Tablet. A tablet lets you draw on your computer as how you would draw on paper, it includes a stylus and a board to draw on. I was born in 1994, take it from there. Can You Draw Me a Picture? No, I'm too busy to be drawing fanart of your pets; especially ones without custom designs. I may take an art trade with you, but it is conditional at the time you ask. Will You Make Me a Custom Adoptable? Unlikely, I used to be all out for making custom adoptables for everyone. As time has passed, I grow tired of making these. Even if my requests are open, you will most probably be ignored. I also may accept trades. Is Kamaida Open for Roleplay? Can You Code My Page? Can You Help Me With My HTML/CSS Coding? Of course! I'm happy to help out with any coding, just drop me a neomail. Can I Use the Music on Kamaida's Petpage? These creatures are not family by blood, but because of a type of force. They reside in other domains, but we are told we are family. I do not know what else to call them. Very few times have we met. 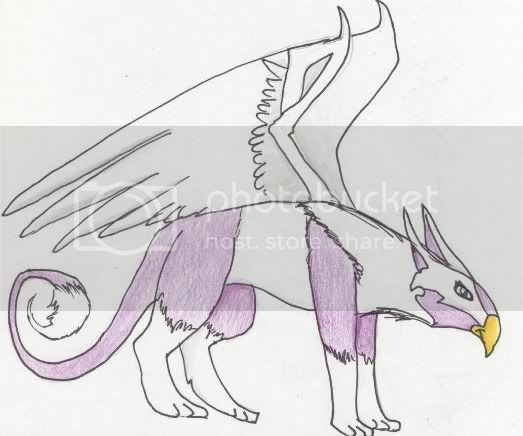 The Okarmaiy race, of which I descend from consist of the Eyrie species. Below you may travel to other Eyrie domains. May your travels be adventurous, and hassle free! I'm always open for a link trade. Just neomail Alwinta. Or perhaps your needs lie outside of the Eyrie race? 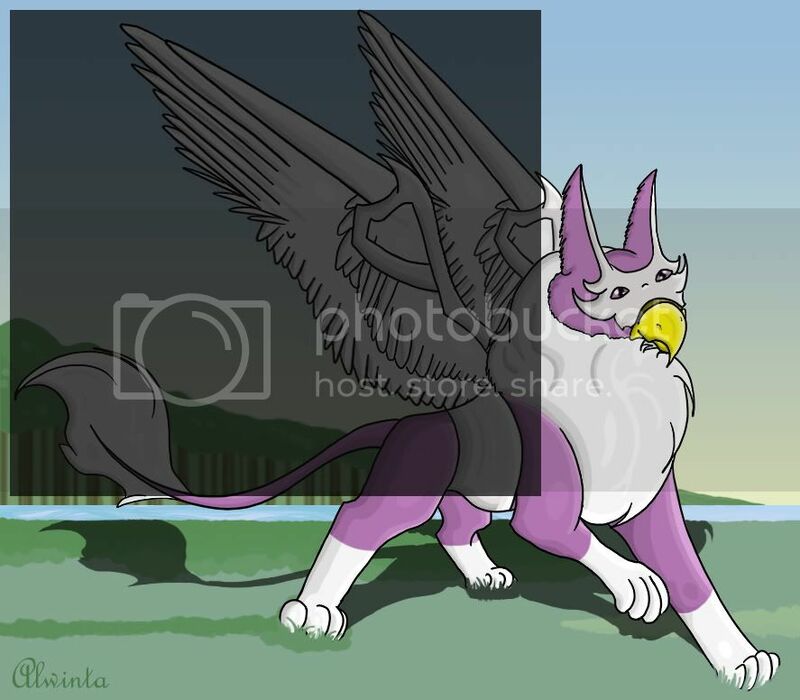 Layout, and codes done by my owner, Alwinta. 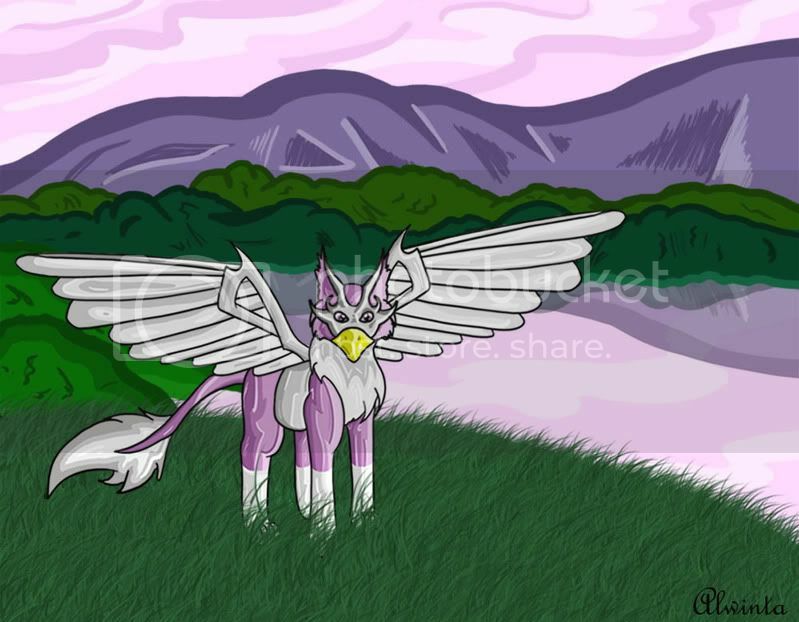 All artwork (excluding Neopets Images, Fan Art, and Toybox) was drawn by my owner, Alwinta.